Cucumber Avocado Salad features crisp cucumbers, rich creamy avocado and fresh summery dill all tossed in a simple lemon dressing. 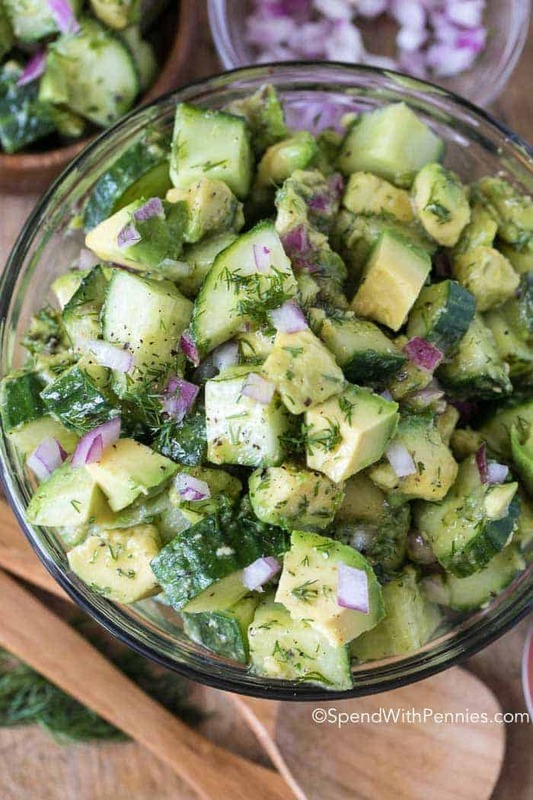 This avocado salad makes the perfect summer side in just minutes! 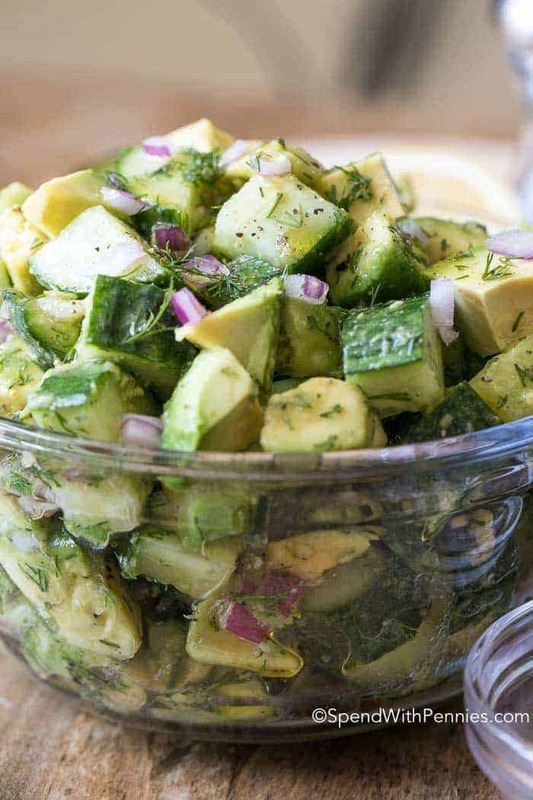 There are truly fewer things I love more in the summer than a delicious avocado salad or a cucumber salad! 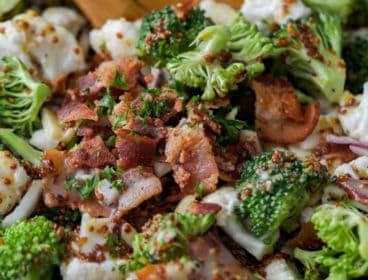 Put them together, and you have a salad so refreshing and crisp, with a creamy counterpart that just tastes like a bowl full of summer! 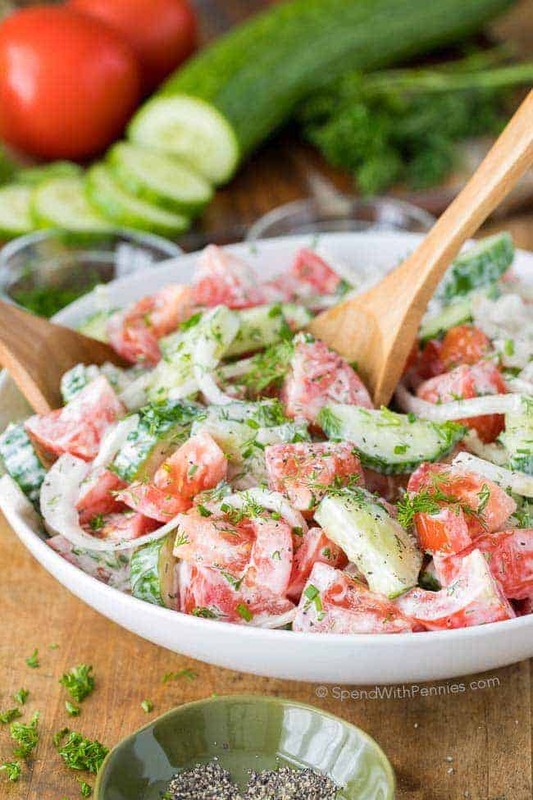 A cucumber salad can be as simple as just cucumbers, onions and dressing like in my creamy cucumber salad, it can be perfectly paired with juicy ripe tomatoes in a cucumber tomato salad or tossed with fresh dill and creamy avocado in this dish! 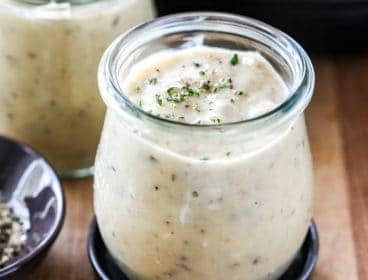 Most of my cucumber salads tend to have a creamier dressing or a sour cream/Greek yogurt base so this fresh dill dressing is a welcome change! 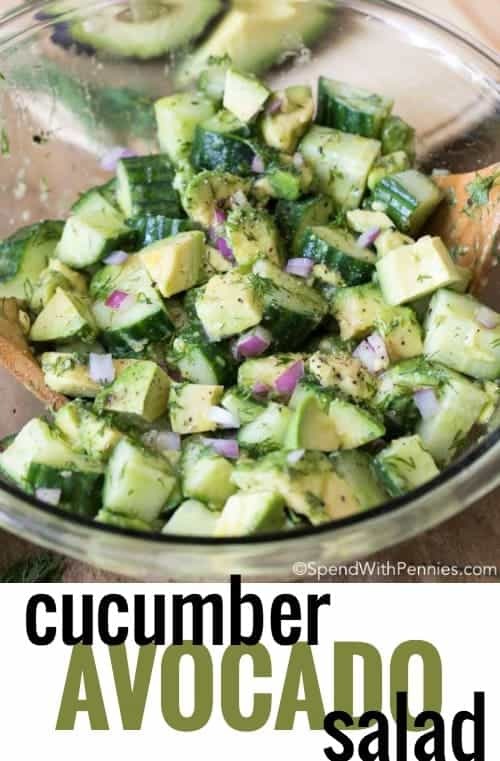 While any variety of cucumber will work in this avocado salad recipe, I prefer to use a long English cucumber (or seedless cucumber). They tend to have thinner skin and fewer seeds, making them the perfect addition to a salad. 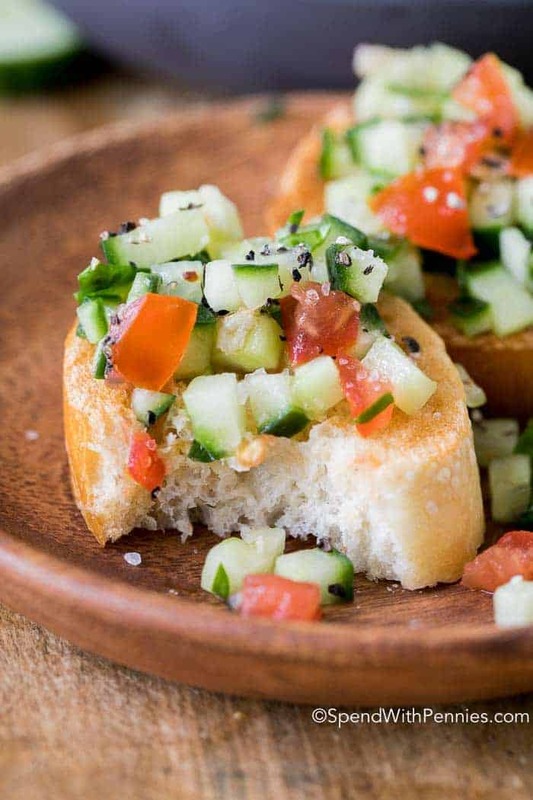 You can peel the cucumbers but there really is no need to in this recipe. Since we usually make this cucumber avocado salad and then eat it right away, we leave both the seeds and skin intact. Avocado Tip: I cut my avocado into cubes and immediately toss them with a little bit of lemon juice; this keeps it from getting brown (and adds lots of flavor). 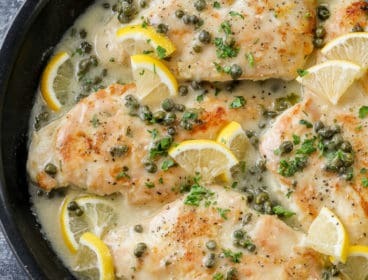 Since this recipe really relies on the flavors of fresh summery ingredients, the freshly squeezed lemon juice is best as the bottled juices can sometimes have a bitter aftertaste. Dressing Tip: Depending on the size of your cucumbers and avocados, you may not need all of the dressing. So I mix it in a mason jar and just add a little bit at a time. 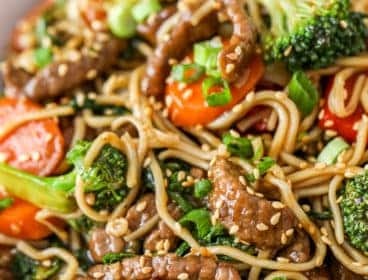 If you happen to have extra, it’s perfect over a tossed salad and will last about a week in the fridge! Onion Tip: I love the flavor (and little bit of color) red onion adds to this Cucumber Avocado Salad. If you don’t have red onion, you can certainly add in white onions. The onions with the white papery skin (not the typical yellow skinned onion) are much sweeter and milder. I usually start the recipe by soaking my onion in cold water while I prepare the cucumbers and avocado. 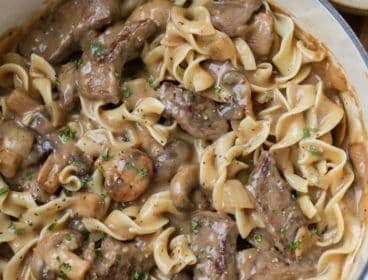 Soaking in cold water takes a little bit of the “bite” out of the onion making it a bit milder and the perfect accompaniment for this dish! If you’re looking for a delicious and simple dish to dig into, you’re going to love this Cucumber Avocado Salad. 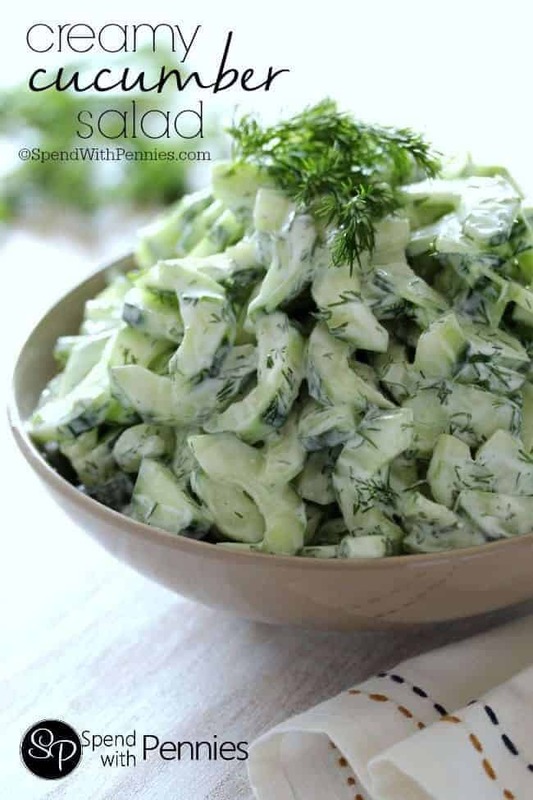 Cucumber salads are simple, fresh and easy to make; they are the perfect refreshing side dish for summer and they can accompany any meal from Grilled Chicken to a perfectly grilled steak dinner! 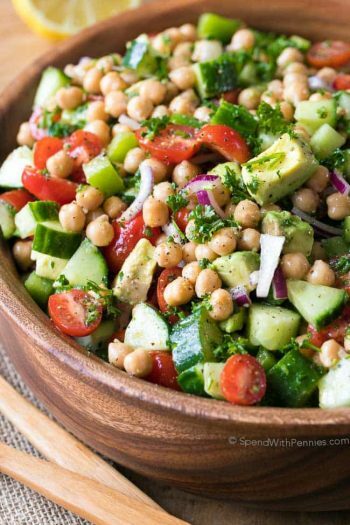 Chickpea Salad is a fresh summer salad that features cucumbers, tomatoes and chickpeas with fresh herbs in a quick dressing! 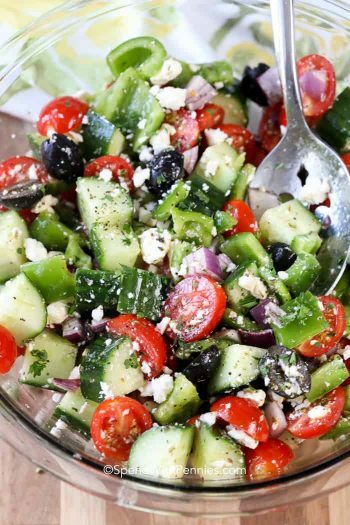 Cucumber Noodle, Watermelon, and Feta Salad is a cool and refreshing salad is a great side for any summer meal. 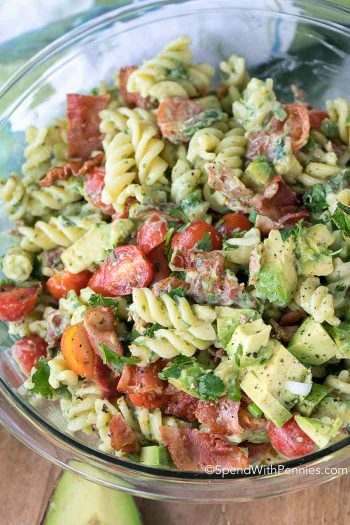 Creamy Cucumber Pasta Salad is a fun twist on a typical cucumber salad making it into a great side or a simple meatless meal! Cucumber Dill Sandwiches are a deliciously fresh summer lunch or tea sandwich and one sandwich all of my kids love! 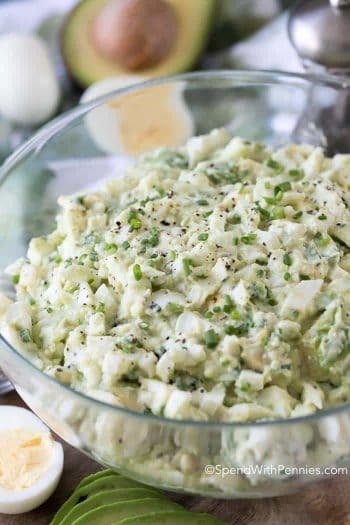 Greek Tzatziki (Yogurt Cucumber Dip) we dip and drizzle this on everything from bread to salad or grilled chicken for a fresh pop of flavor! 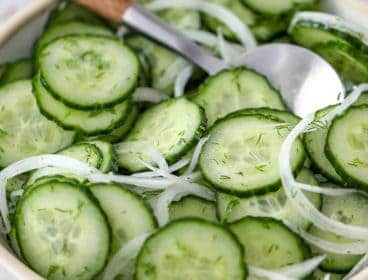 Quick Pickled Cucumbers are the perfect way to love your fresh garden cucumbers! 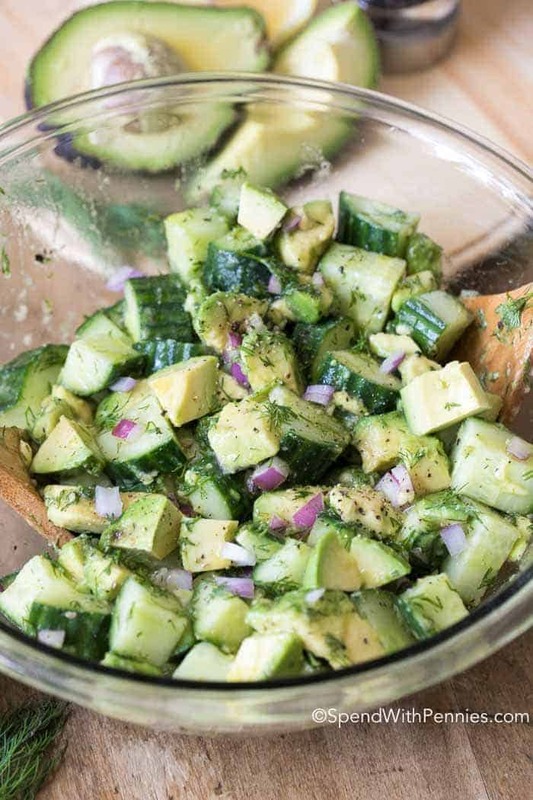 Watch me Make this Avocado Salad with Cucumbers! 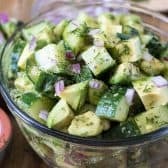 Cucumber Avocado Salad features crisp cucumbers, rich creamy avocado and fresh summery dill all tossed in a simple lemon dressing. 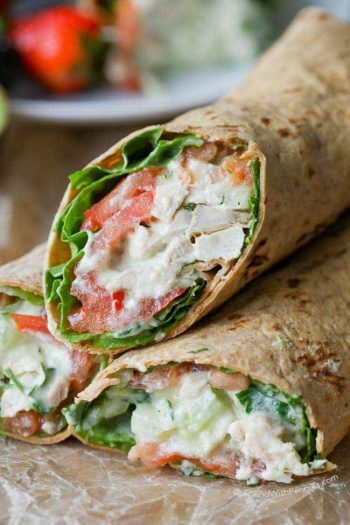 The perfect summer side in just minutes! Gently mix together avocado and lemon juice in a medium bowl. 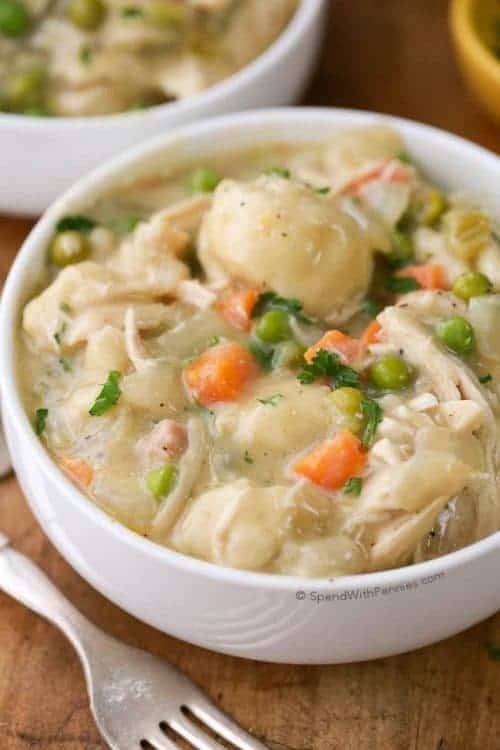 Add all remaining ingredients and gently toss to combine.